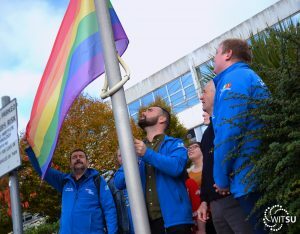 Waterford Institute of Technology is a third level education provider in the South East of Ireland with almost 10,000 full and part-time students. 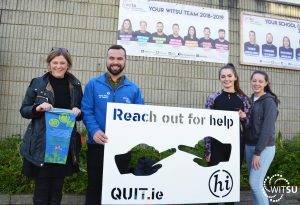 Since 2015 the Waterford Institute of Technology Student’s Union (WITSU) has been involved in delivering safeTALK© to hundreds of students in Waterford IT. 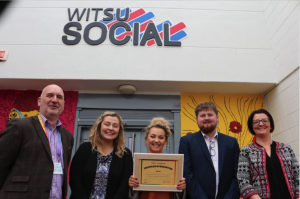 From the provision one workshop a semester at the beginning, to the current delivery of a safeTALK workshop monthly during term time, WITSU has demonstrated a strong commitment to mental health and suicide awareness. The workshops have been provided at varying times and locations to fit in with the busy college schedule of student life. Feedback from the safeTALK training has been very positive, with the majority of participants feeling more knowledgeable and prepared regarding the issue of suicide. WITSU are to the forefront of suicide awareness training within the third level sector in Ireland and their example provides an excellent model for the entire Irish education sector. 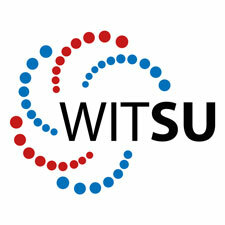 Organisation and planning is carried out by WITSU and on top of all that…..they provide free pizza for all participants! safeTALK training is conducted by Tony Reid, from the Department of Nursing and Healthcare, WIT, supported through the CHO Area 5 Regional Suicide Resource Office. Speaking about the Recognition Award, Tony Reid said it was a great opportunity to acknowledge the hard work and commitment of the WITSU officers in highlighting the issue of suicide awareness among the student community.